A cute pair of bird earrings from the TEGO range. 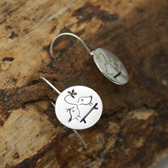 The handmade silver plated earrings has a bird design etched on both sides. 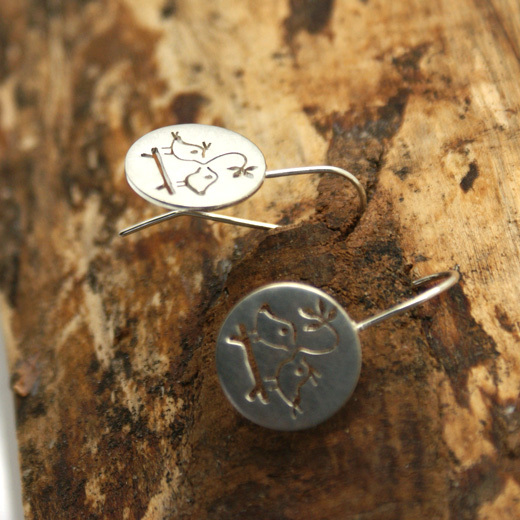 The front of the earrings has a matt finish, the reverse is highly polished and they are attached with hook wires making them easy-to-wear, comfortable and are suitable for pierced ears. They will enhance any outfit and look equally elegant with evening wear. There is also a friendship bracelet in the same design on this page. Not exactly what you are looking for? 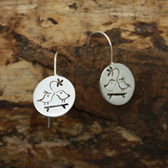 We have a wide range, see the silver bird earrings gallery for other options.